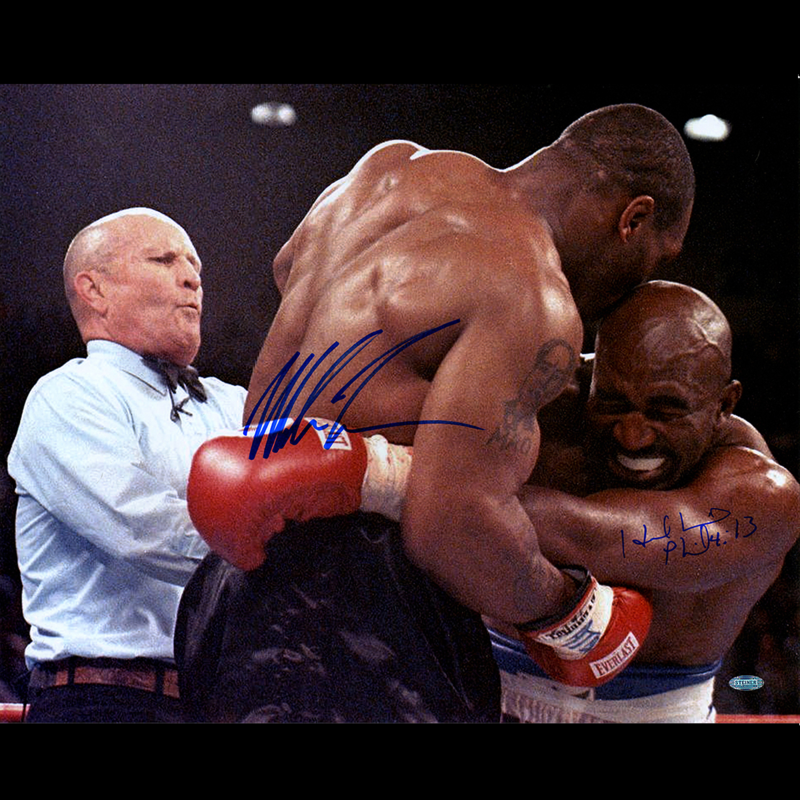 Boxing Legends Mike Tyson & Evander Holyfield have personally hand-signed 'Biting Holyfield Ear'16x20 Photo-On June 28, 1997, Mike Tyson and Evander Holyfield fought in Las Vegas in one of the most anticipated rematches in Heavyweight Boxing history. 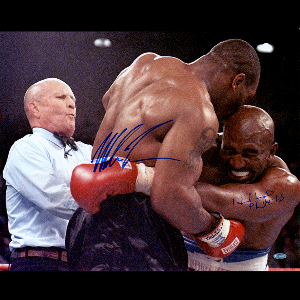 Holyfield was the defending World Champion after he defeated Tyson seven months earlier. In this historic fight, Mike Tyson bit Evander Holyfield's ear off. Commemorate that infamous moment with this incredible dual-signed glove. Their Autographs are Guaranteed Authentic and include a Steiner Sports Certificate of Authenticity and accompanying tamper-proof Steiner Hologram.